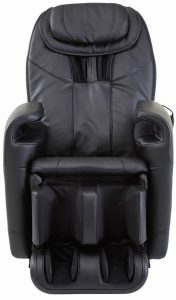 I’ve tried a few Johnson Wellness recliners, and I really liked them because they’re relaxing and suit hobbyist users. Plus the company’s customer service is stellar! But I won’t lie, there are better massage chairs on the market. 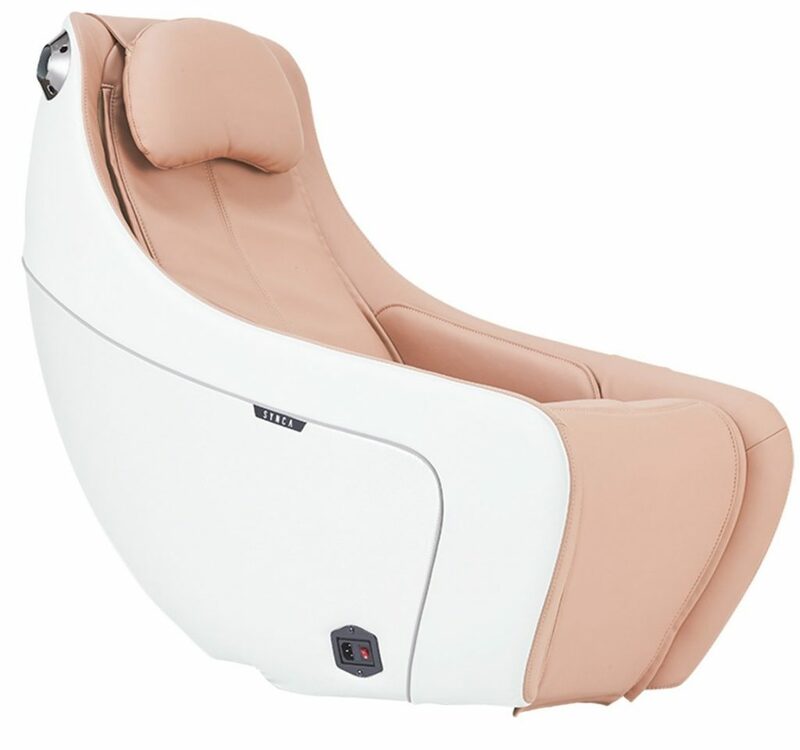 That’s why I comprised this massage chair buyers guide below: I’ll discuss the best massage chairs from Johnson Wellness in 2019, along with their alternatives. And you all know by now how much I love Kahuna 6800, Infinity 8500 and Luraco i7 Plus, right? 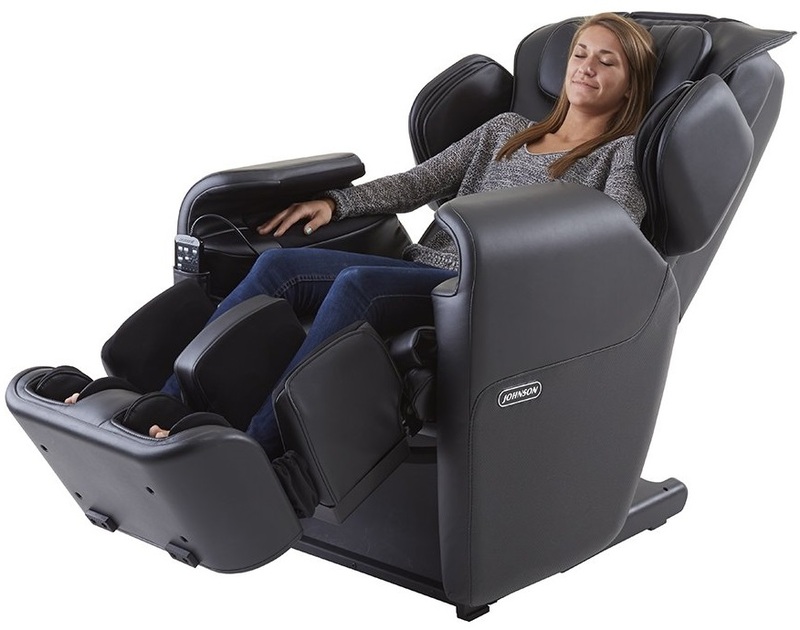 Read the massage chair comparisons below! Johnson Wellness has more than 35 years’ worth of experience on the market, specialized in designing and retailing quality fitness equipment. The third-largest fitness manufacturer in the world, Johnson Fitness commits to innovation, quality and excellent customer service. There are a few brands under this company’s umbrella, like Synca Wellness Massage Chair and Inner Balance. 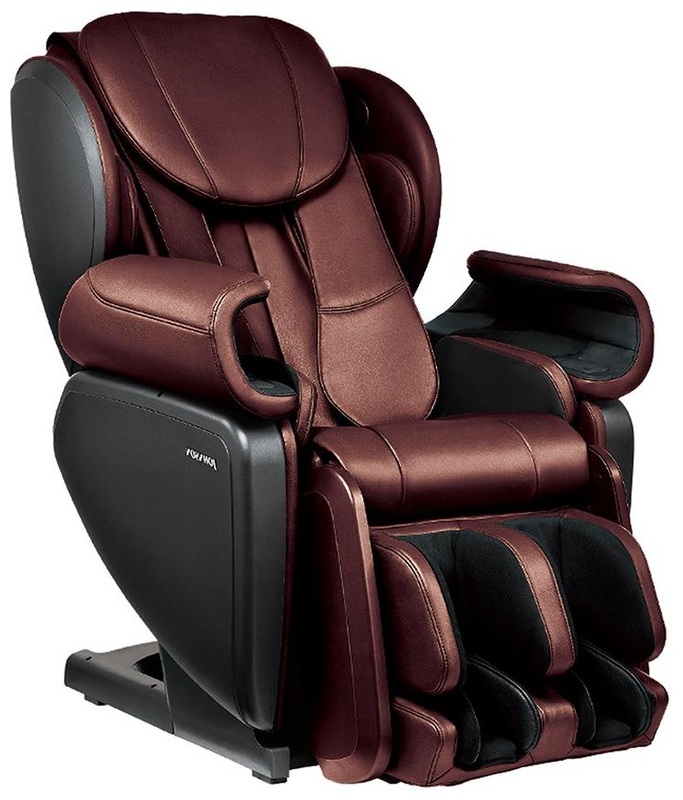 The Japanese designed massage chairs are projected and engineered by former Inada, Fuji, Medical and Panasonic Engineers. 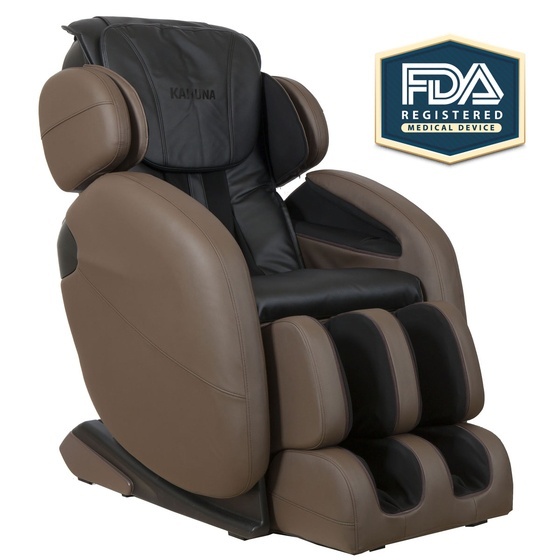 The Johnson Wellness Massage Chairs have 1 or 3-year warranty (you can find more warranty information on their website), are great for inner balance wellness and firm massages, they look stylish, and most support a user weight up to 300 pounds. The majority of these massage chairs are best for petite users, relaxation and firm spine massages, with limited other therapeutic functions. The Johnson Wellness J5600 features an S-track that follows the anatomical curve of your spine, so the rollers massage all your pressure points. There are 7 built-in massage programs and 6 massage techniques that include Kneading, Tapping, Combo, Shiatsu, Rubbing and Rolling. Basically, this chair offers a good, deep spinal massage that can be easily customized. I particularly enjoyed the Super Kneading deep tissue massage, as well as the fact that there are 5 intensity levels to adjust. The advanced optical body scanning allows the computer to figure out your pressure points, so the rollers focus on them first, which is a user-friendly characteristic. 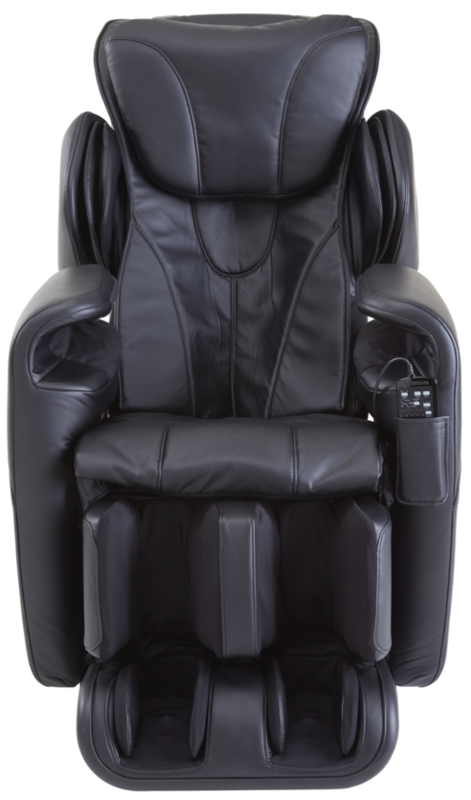 This is the industry standard even for a cheap massage chair like this one. Unfortunately, the airbag massage isn’t that great, just 18 air cells that compress and immediately release your arm/ leg muscles, in the hopes of mimicking a chiropractic massage. The 3D rollers allow 3.5 inches of travel so that they can press inward for a deep tissue massage. With a weight limit of 300 pounds and 3-year warranty for parts, labor, and in-home service, this is a reliable chair for hobbyist users. If you need a massage chair for therapeutic purposes, you would need at least heat therapy and zero gravity. Summary: The Johnson Wellness J5600 promotes positive posture and is a reliable chair for hobbyist users looking for a quality deep tissue massage. The Kahuna LM-6800 is a better alternative because it features space-saving technology, a longer track that gets all the way down to your glutes, plus 3 different zero-gravity positions. The air massage is also better, with 36 air cells that surround your entire body, not to mention the Kahuna offers lower back and feet heat therapy to alleviate back pain and improve circulation. The J6800 is in the middle price range, featuring an anatomically-correct S-track that touches all your pressure points on a length of 30 inches. With 4D rollers that can travel away from the S-track, you can count on a deep tissue massage. You can adjust the roller width and intensity, but you can’t change their speed. 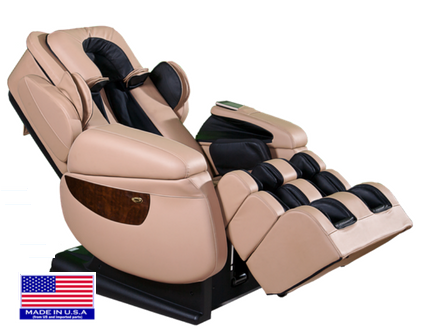 Otherwise, this massage chair features body scan technology to identify your pressure points and foot rollers with Acupoint Nodes that improve arch pain. While there’s no zero-gravity or inversion therapy with this chair either, there are front, lumbar and feet heat therapy to improve blood circulation and unwind sore muscles. You can choose from 11 auto programs and 9 manual techniques, including Shiatsu and various forms of Kneading. Basically, this is an excellent chair for vigorous massages – even its body stretch is pretty firm. The 31 air cells offer a good air massage for your whole body, and you can also adjust the airbag intensity. The compression air massage helps relax you and improve blood circulation. With a hideaway ottoman, 3-year limited warranty and 300 pounds weight limit, this would be a pretty good, albeit basic chair. My biggest complaint is that the timer setting isn’t adjustable, so each massage lasts for just 15 minutes. Summary: The Johnson Wellness J6800 is a dependable chair for vigorous, albeit short, massages. Both these chairs are better alternatives to the Johnson Wellness J6800, though they have similar features like a dependable body scan or a short S-track. 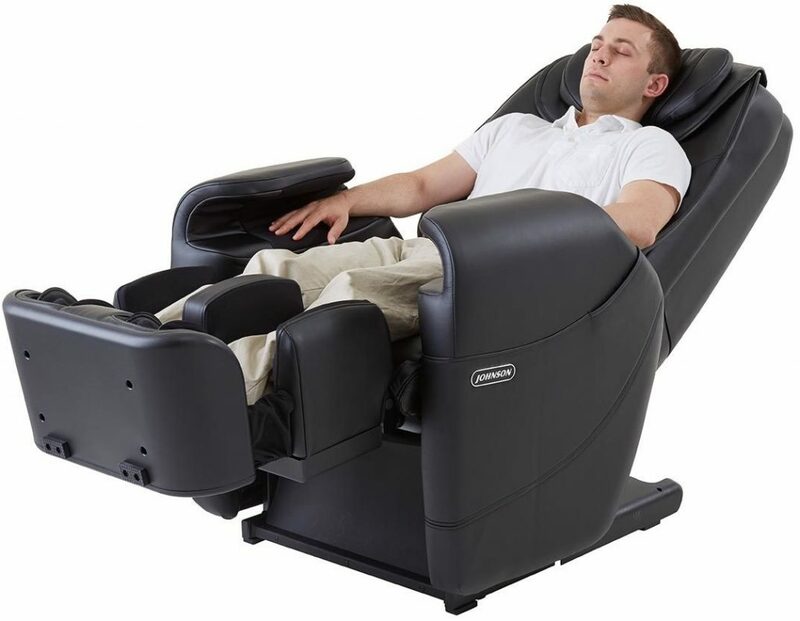 For instance, the Infinities feature two zero-gravity seating positions and the unique dual action feature which helps you combine any two massage techniques. This helps increase the number of options, considering that the Infinity IT8500 has just 6 manual massages and 4 auto-programs, though the IT 8500X3 has more massage options. Another reason why I think these chairs are a better alternative is that they feature inversion therapy and twist function. The twist function readjusts your spine much like a visit to the chiropractor, and so does inversion therapy, but at a low impact setting. 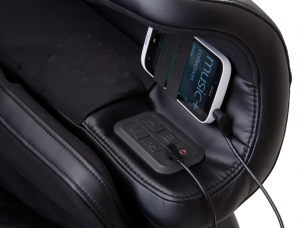 Besides, the Infinity 8500X3 features Bluetooth compatibility, and both chairs have adjustable massage timers. The only reason why Johnson Wellness J6800 could be considered a better chair is that it features feet heat therapy, instead of just lumbar. Basically, if you want a great spinal massage, choose either one of the Infinities, while the Johnson Wellness J6800 offers a better foot massage, especially considering that the Infinities don’t even have foot rollers. 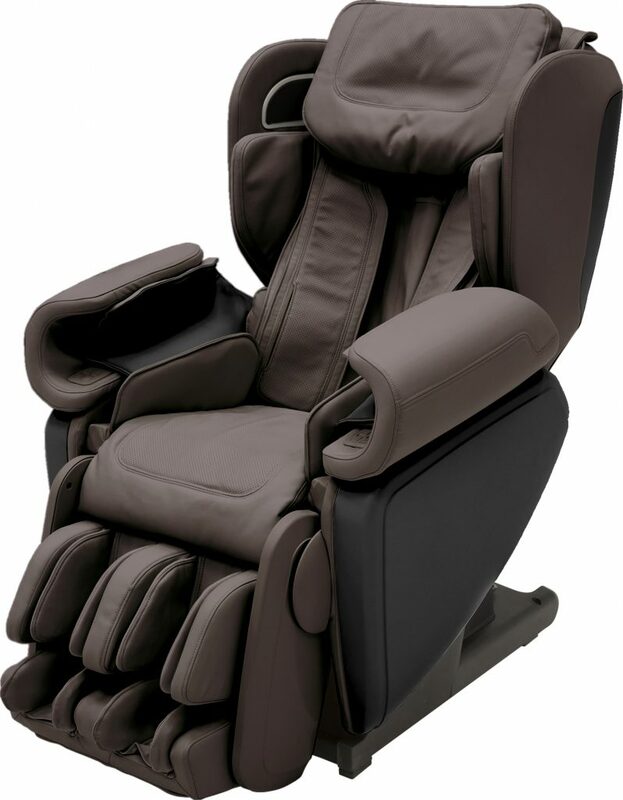 The Inner Balance Jin Massage Chair is in the middle price range, but it has some advantages when compared to the other Johnson Wellness Massage Chairs above. For instance, it has a lower L-track design, that gets down to your glutes and upper hamstrings, along with 3 levels of zero-gravity. This means the chair reclines so that your body weight is supported by the rollers to take pressure off your spine and to increase the massage intensity. However, this massage chair features 2D rollers, which don’t provide a deep tissue massage. You can also adjust the roller width and speed, but can’t adjust the roller intensity. There are 9 auto-programs, a vigorous, full body stretch and a spot/ partial massage where you can tell the rollers to focus on a specific body part. Curiously though, this chair doesn’t have any available massage techniques. I loved the heat therapy option though, with lumbar, calf and arm heat (this arm heat is especially unique), as well as the comprehensive airbag massage thanks to 42 air cells that envelop your entire body. On the other hand, the ottoman length adjustment is manual, you can’t hide the ottoman, and the timer can only be programmed for 10 or 20 minutes. Again, for this price range, you have better alternatives: either the affordable Kahuna 6800 or the more expensive Infinity 8500. Summary: The Inner Balance Jin Massage Chair offers basic features for a therapeutic spinal massage. 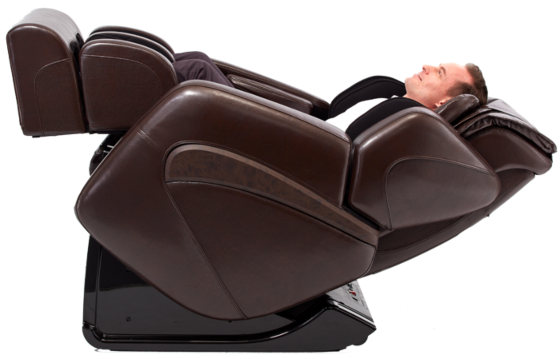 The J5800 comes with 4D rollers, which allow them to move 3.5-inches from the track in order to provide a deep massage. While the 32-inch roller track might be a little short, the dual rollers provide a truly penetrating massage especially thanks to the 11 point body scan which identifies pressure points. There are just 9 auto programs to choose from, plus a memory function to remember your favorite options. Unfortunately, there seem to be no heat therapy, zero-gravity or massage techniques available. With heat for the soles of your feet, this is a therapeutic massage recliner that relieves the pain from arthritis or plantar fasciitis. The 33 air cells offer a good air compression massage, but hands-down the best features of this chair are the trapezius massage for tight shoulders and the deep spot feature which digs into a sore muscle. An affordable, 70-pound, compact massage chair, with a 1-year warranty, the Synca Circ massage chair has some advanced features. This chair boasts an L-track that can touch all your pressure points from the neck to your lower back and glutes, but the rollers are 2D, so they can’t provide a deep tissue massage. You can adjust the roller intensity, but not their speed, there are no foot rollers, no recline, no zero gravity or stretch, just 5 auto programs, and 3 basic massage techniques (Rolling, Tapping, and Kneading). The airbag massage is very basic, with 10 air cells for the hip, thigh, and seat, with no intensity adjustments. You can’t even adjust the massage timer; every massage lasts 15 minutes. However, this chair is affordable and features chromotherapy, so it’s great for reducing stress and easing insomnia problems. 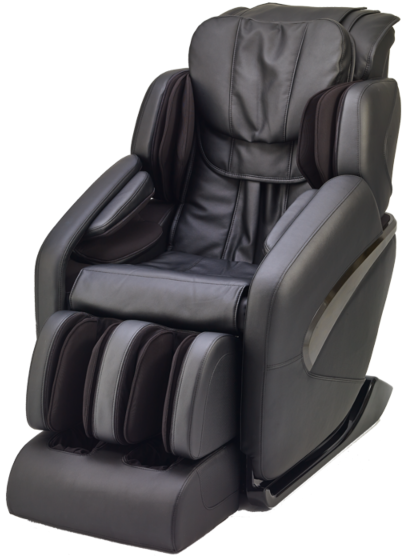 The pinnacle of massage chair technology, the Synca JP1100 massage chair features 4D rollers for a deep tissue massage with rollers that go up to 5 inches inwards. 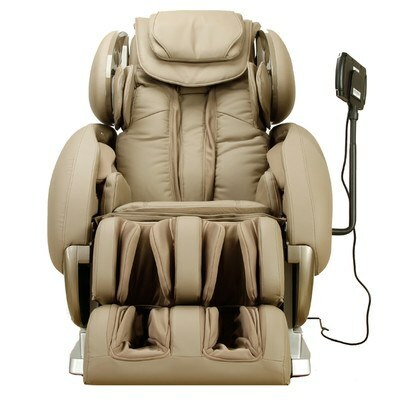 This is the only made-in-Japan massage recliner with foot rollers for a penetrating foot massage. 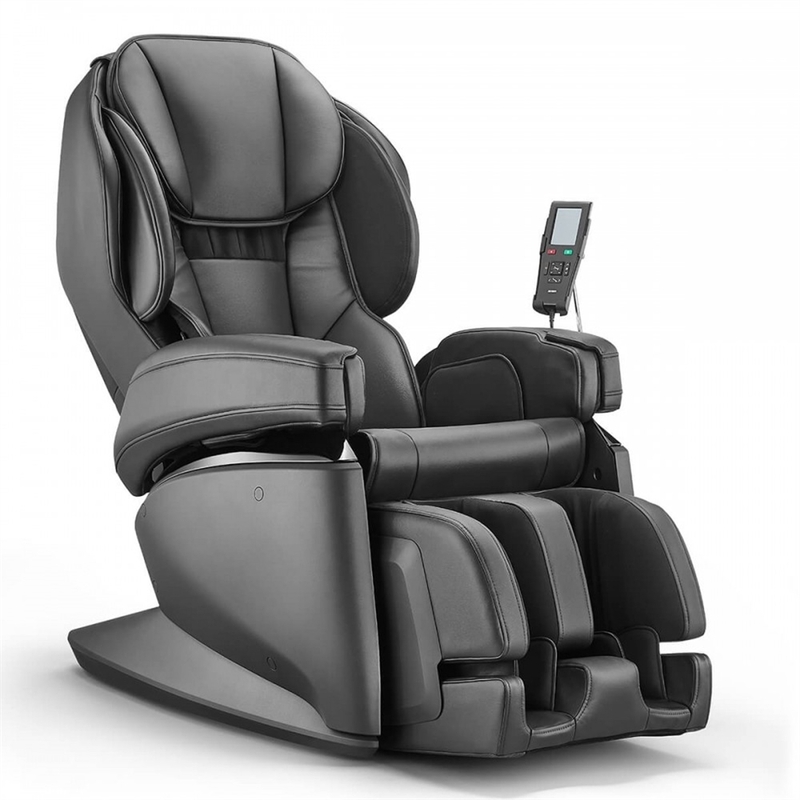 Albeit more expensive, the Synca JP1100 is extremely customizable in terms of speed and massage options, features an intuitive touchscreen controller, Shiatsu reflexology, plus a Triple-mode enhanced air compression system and lumbar and feet heat therapy to improve blood circulation. Although the chair can recline to 180-degrees, it doesn’t feature true zero gravity. The Luraco i7 Plus is a better alternative for the high-end price range because it’s a medical massager designed and manufactured in the US. Listed with the FDA, CE, and UL, Luraco i7 Plus features powerful speakers for an immersive massage experience and zero-gravity. From deep tissue massage to firm body stretches, Luraco features basic massage options, heat therapy, and built-in blood pressure and heart-rate monitor to help you adjust the massage type and intensity. While Luraco i7 Plus has a short S-track that can’t massage up to your glutes, I think this is a better chair because it has more therapeutic functions. With 78 different massage techniques specialized for a firm, penetrating massages and 4D rollers that move up their track to provide deep tissue massages, SyncaKagra features multiple Shiatsu techniques. 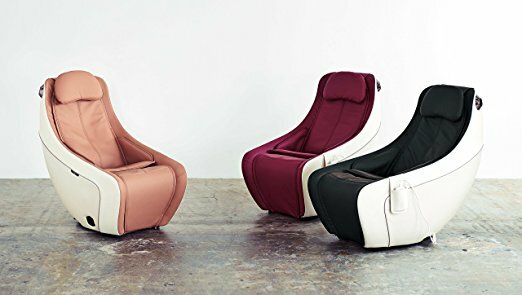 It is massage chair with reversible ottoman. In the middle price range, Kagra offers zero-gravity to reduce pain from compressed discs, 8 auto programs, adjustable backrest and footrest, a unique heating vest to improve blood circulation, fingertip keys for easy controlling, Bluetooth speakers and 5 unique deep stretches to alleviate spinal pain. 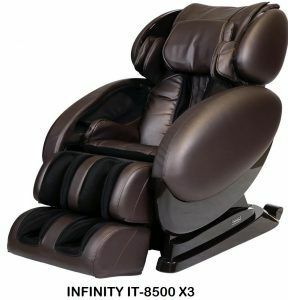 I think that Infinity IT-8500 is a better option for this price range because it has more therapeutic options, like a spine swivel function, inversion therapy, and two zero gravity seating positions. Kagra is a better choice in terms of how penetrating your massage is. There are various authorized dealers to choose from, but I prefer buying directly from the company to benefit from a good warranty, negotiate white glove delivery or take advantage of various discounts. Amazon is a great place to buy massage chairs because there are reliable warranties, shipping, and return policies, and you can also find discount chairs. While Johnson Wellness massage chairs are reliable and come with 1 or 3-years warranty, not all of them feature zero gravity, heat therapy or other therapeutic functions. Most of the products reviewed here are good for hobbyist users looking for massage chair relief, while the more therapeutic options are Kahuna LM-6800 for the $2000 price range, Infinity 8500 for the middle price range and Luraco i7 Plus for the high-end price range.